"Spacious unit with a balcony overlooking two swimming pools, one cool, one heated." "A hideaway amidst lush tropical palm trees and greeneries that provides the illusion of privacy." "A minute's walk to the pristine unspoiled Miami beach with a stunning view of Surfers Paradise and within walking distance of shops, a tennis court and a Coles supermarket." These were the common reviews I kept reading online when researching the resort. 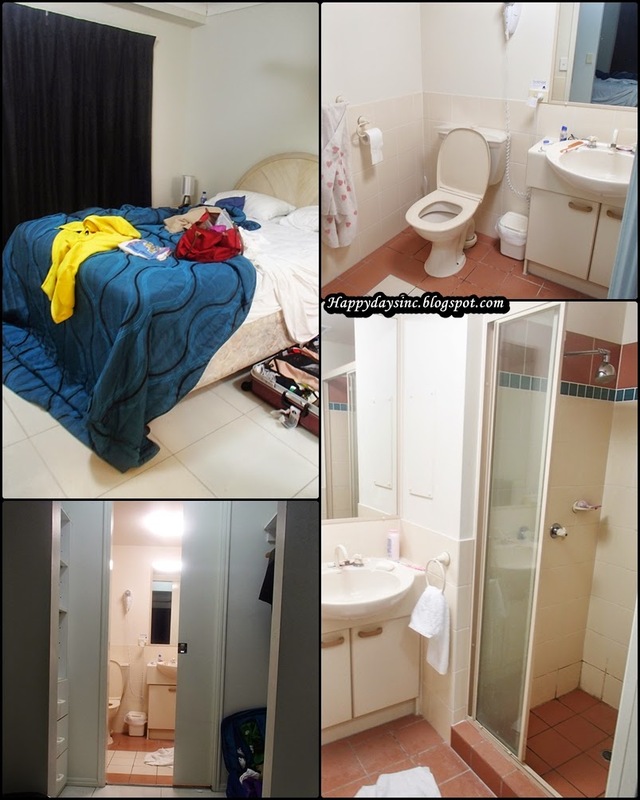 A friend had secured resort vouchers for our trip at about 469AUD for a two bedroom apartment for 6D5N. We booked five units for our trip. When we split the cost of the apartments amongst our group of 22, it became a freaking steal. I didn't want to get my hopes up about the resort apartment due to the mix reviews. But when we pulled up the apartments situated in a quiet neighbourhood, we were pleasantly surprised to find it all to be as described. Beyond those tall fenced gates, the oasis of a blue pool and palm trees beckoned us but unfortunately, our rooms were not ready yet as we had arrived way ahead of check-in. However the receptionist recommended a little cafe around the corner for us to have brunch and coffee while waiting. 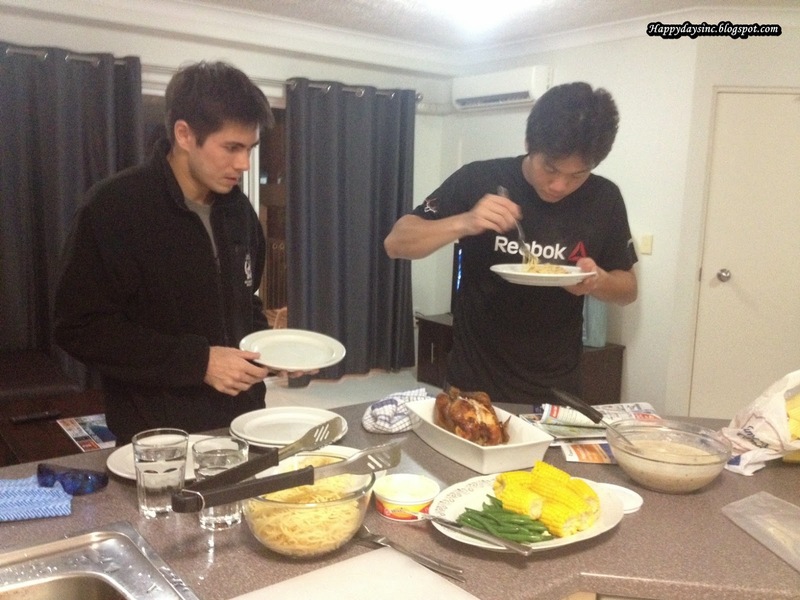 When we came back a hour later, our respective apartments were ready. We were given two sets of room keys with an gate toggle to access at the electric gates and also for our allocated underground parking. Mine was one of the more centralized apartments amongst our group and over the next five days became the main meeting/eating point for most of us. As there are three floors and no lift, we were lucky to have gotten four apartments on the ground floor with only one on the second floor. I loved my apartment and its modern simplistic design. With two bedrooms, two bathrooms (one with a washing machine and dryer) and a well equipped kitchen, it was home away from home. The kitchen became our breakfast central and we fully utilized the induction cooker, toaster, over, kettle and everything provided, stuffing the fridge full with ingredients and drinks. Its spacious balcony allowed us opportunities to enjoy the cool Aussie breeze as we enjoyed our meal and drinks there quite a few times. When I visited my friend's apartments, I found out that all the apartments were decorated differently and according to their respective owner's preference. That was a nice touch although some of my friends' apartments were missing their air-con remote control. That explained why they were at my apartment so often to enjoy the heater. My bedroom had a queen sized bedroom and a bathroom of its own. Towels and soup were provided. My sister and I slept well for our whole stay there. The bed was really thick and oddly high for a bed but nevertheless comfortable to sleep in. The shower offered hot and cold water although we discovered the hard way that there was rationing of warm water allocated to the apartments and on the day we ran the washing machine and tap to wash our clothes and shoes from the Spartan race, we nearly died an ice cold death in our showers. Washing my hair has never been so difficult and painful. The back balcony showed into another swimming pool and tennis court belonging to another apartment resort. The balcony door actually fell off when we slid it open and after a moment of panic, we managed to fix it. Phew! The heated pool was heavenly. Getting out of it and to our apartments was not. Several electric BBQ grills surrounded the pool areas making a nice place for a poolside party which we did. The pool closes at 9pm though and it's advisable to keep the noise level down around 8pm onward to avoid disturbing other residents and guests of Grande Florida. However if the pool didn't meet our fancy that day, Miami beach was just right behind. A small walkway through the resort took us straight to the beach where the waves are crashing fiercely against the shore and where many walkers, joggers and dog-owners are out and about. We just needed to remember to bring our room key & the attached toggle to get in and out. As I mentioned earlier, there was an underground parking free of charge. Each apartment was allocated one parking slot each with direct access to their respective apartment blocks. Navigating the parking lot can be tricky as it was rather cramp and to open the automatic gate, we needed to flash our toggle at the reader. But once we found our allocated slot, it reduced the hassle of parking on the street which we had to for the first two days due to our massive 12-seaters vans. The reception area also doubled as a convenient mart which had almost everything we needed including limited edition Magnum. Daily wifi access can be bought here although it was quite pricy. We requested for extended checkout on our final day and got an extra hour to chill and relax. 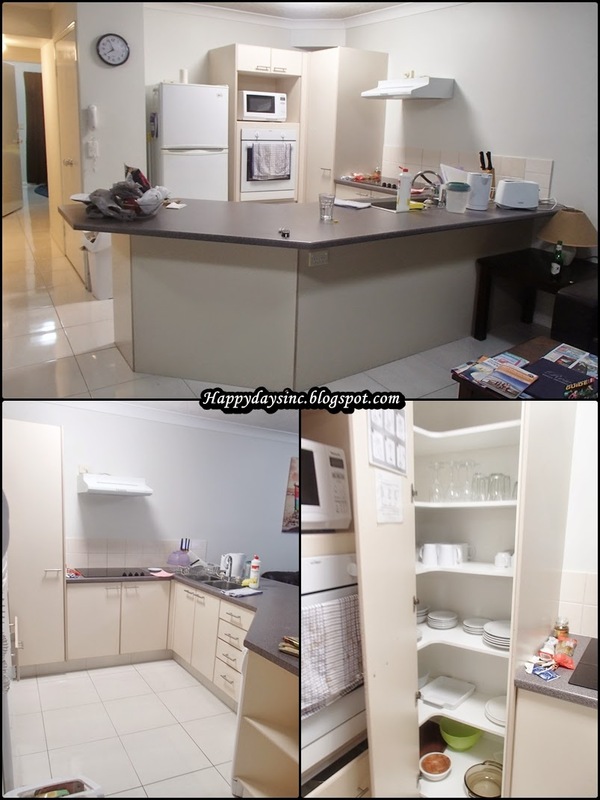 Location-wise, I loved that it was in a quiet area with easy access to the main road that goes straight to Surfers Paradise and to Coolangatta airport. Both were just 20 minutes away in the opposite direction. Currumbin Wildlife Sanctuary was only 10 minutes away. A small Coles supermarket and small food outlets were only a ten minutes walk across the road. A bus stop nearby also provides a means of transportation of the adventurous traveler who has time to kill. Not for me though. I rent my first car overseas on that trip. At first glance, the resort may seemed tired and in need of refurbishing here and there (especially the game room/sauna room. A new ping pong table and equipment wouldn't hurt) but then again, so does my house and as we were out majority of the time, it didn't affect us too much. 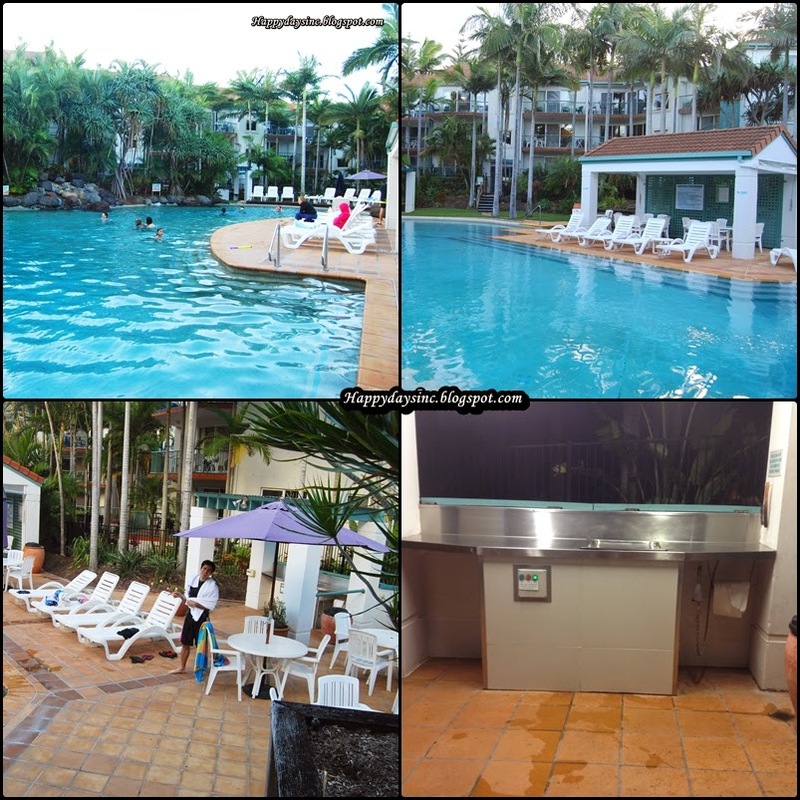 If I were to come back to Gold Coast again, I would definitely be looking this place up again, possibly through Agoda.com or Booking.com for cheaper rates. To find out more about the place, go to their website here.